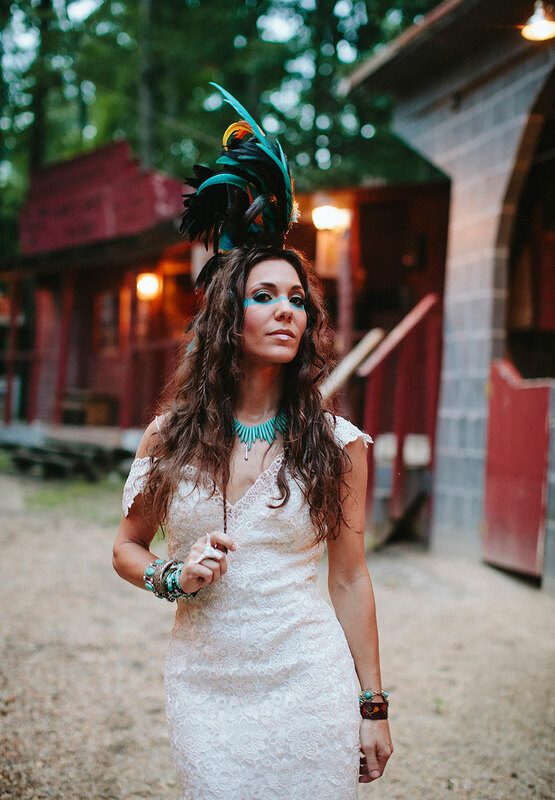 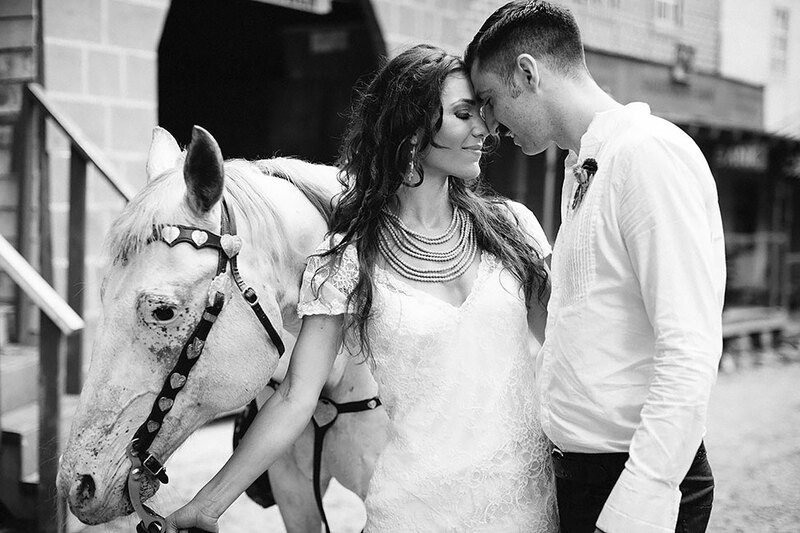 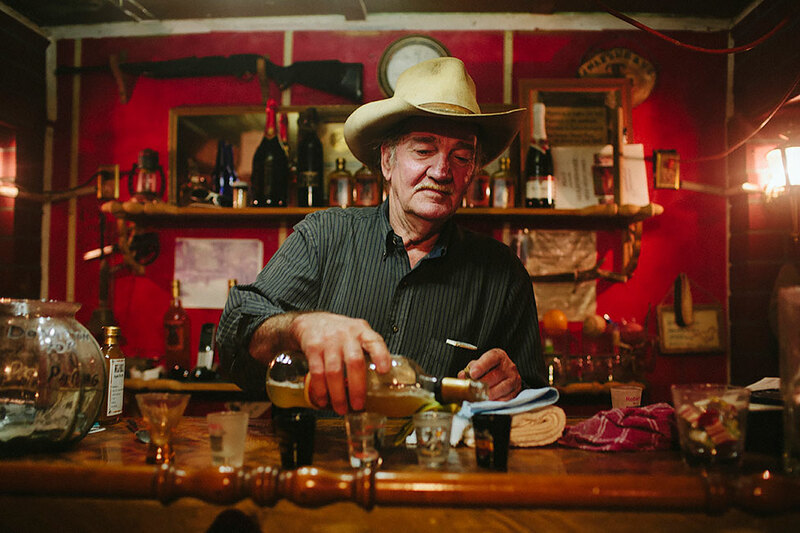 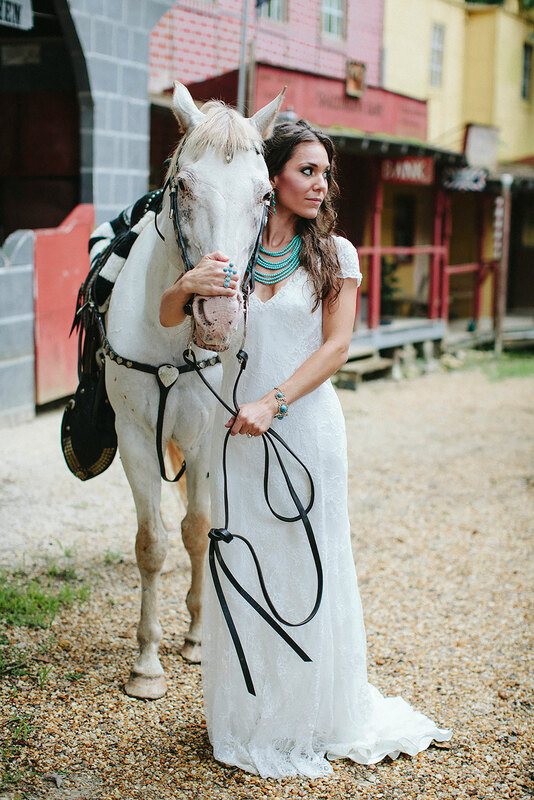 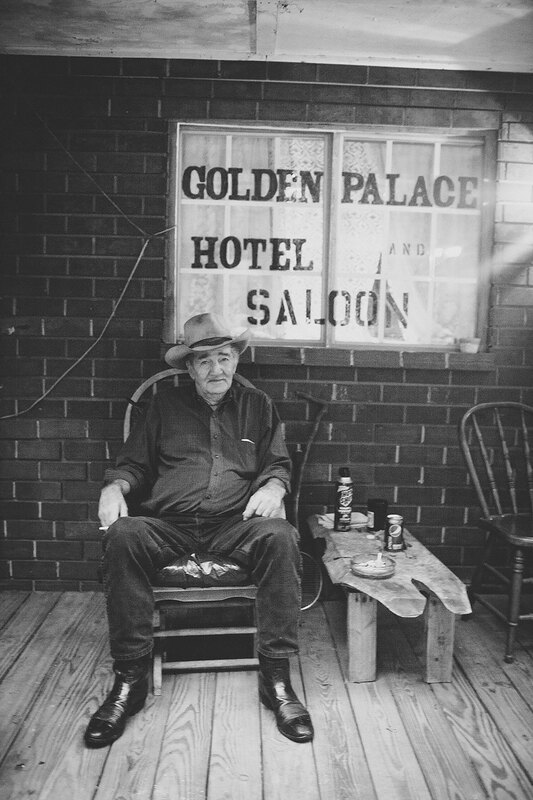 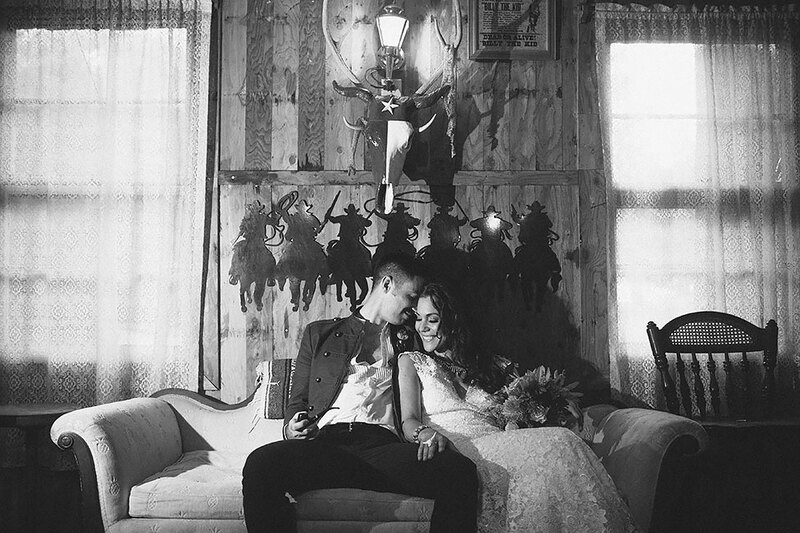 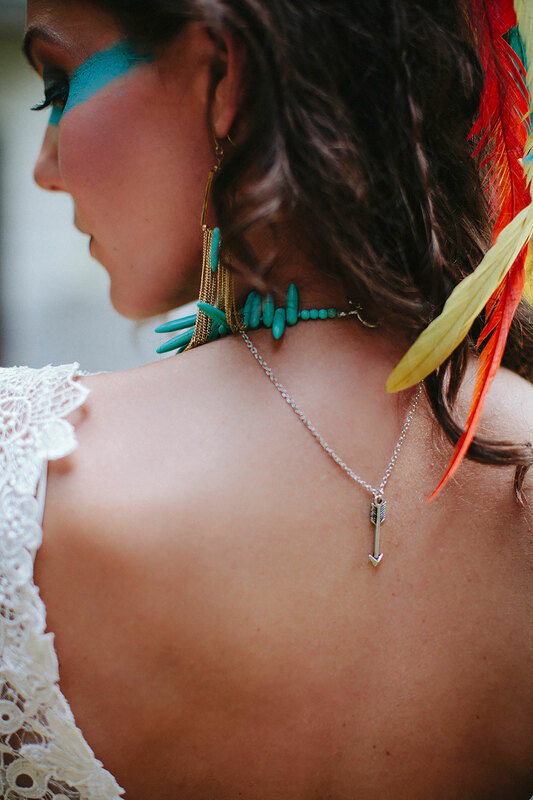 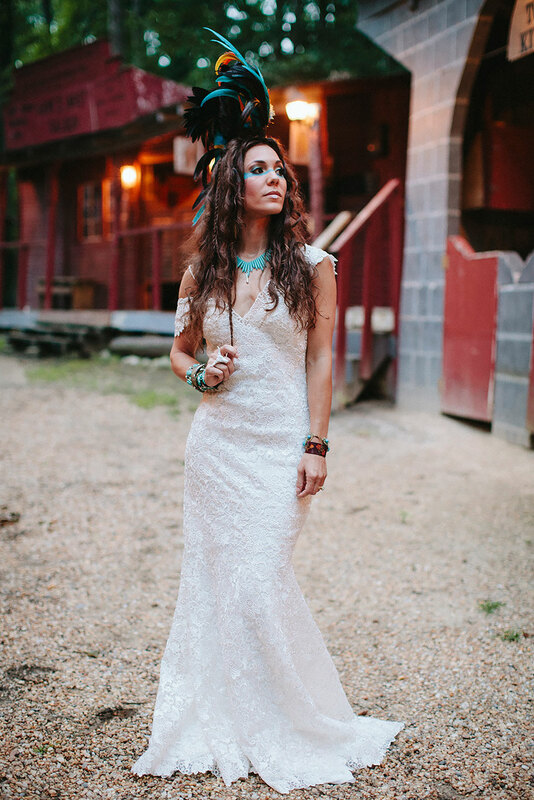 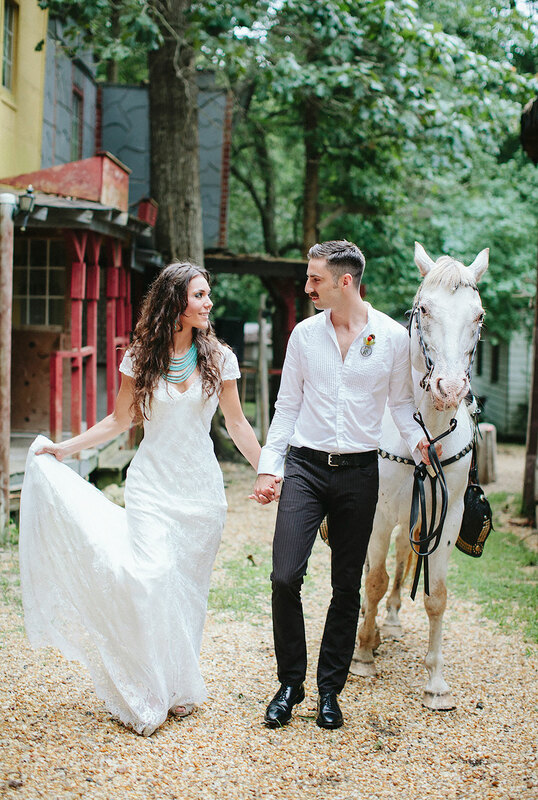 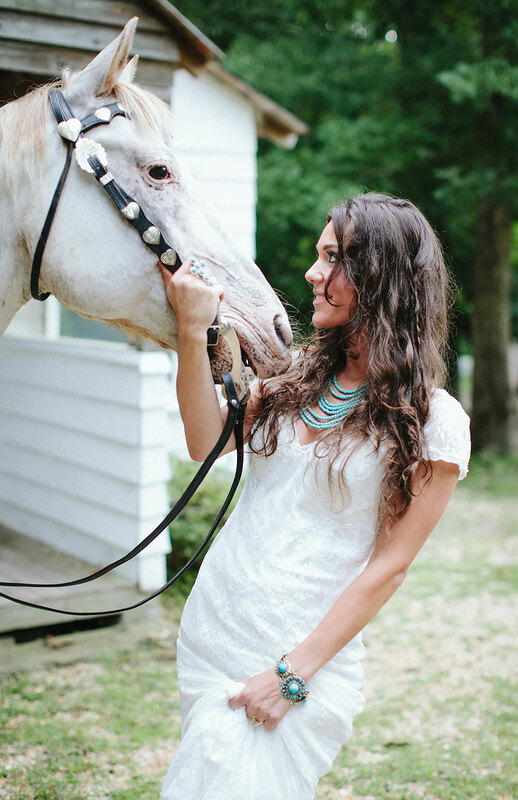 If my aunt were still around she would have been alllll over today’s beyond amazing styled session, that with the Lone Ranger as the design inspiration! 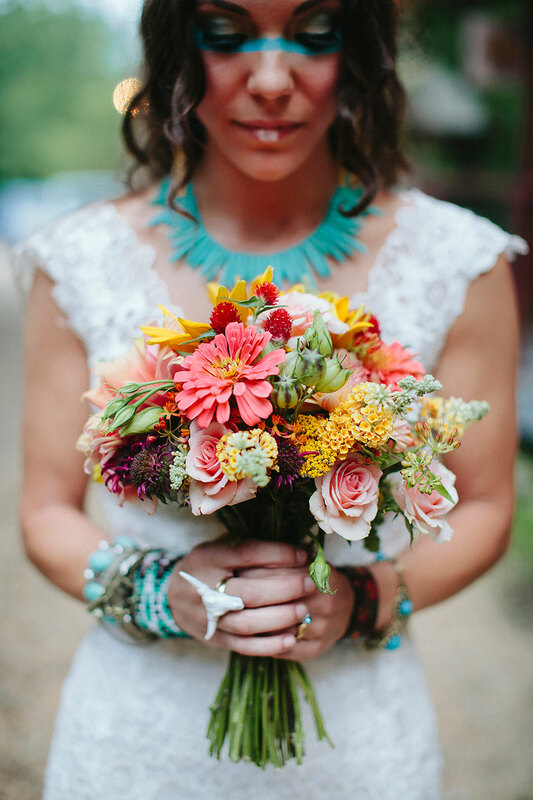 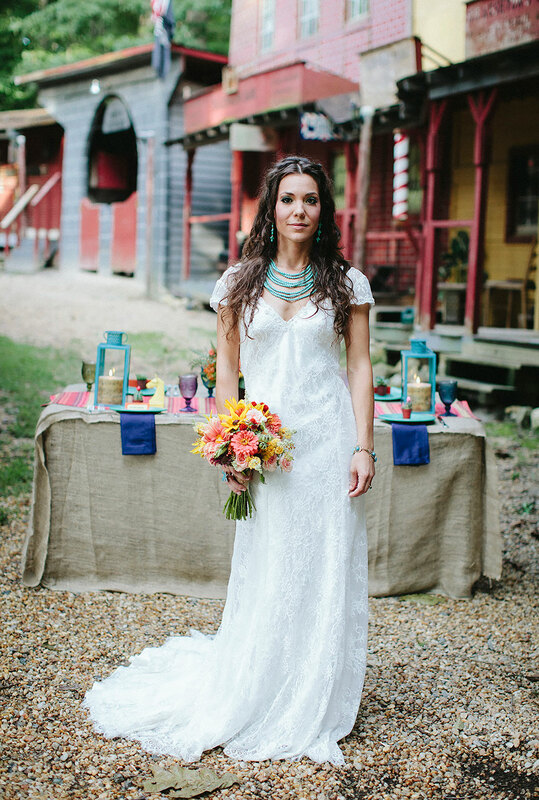 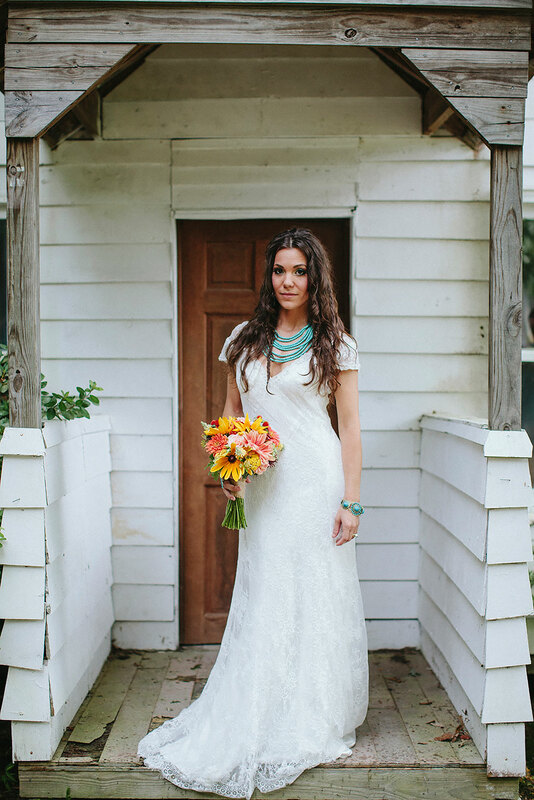 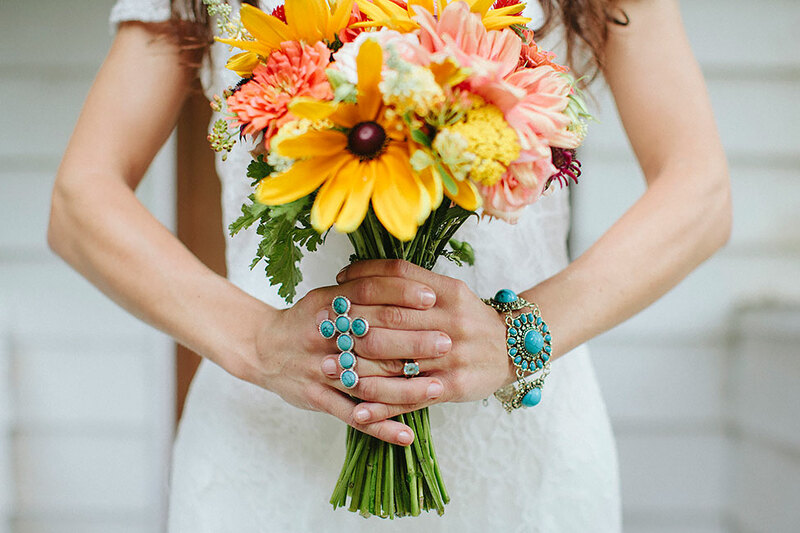 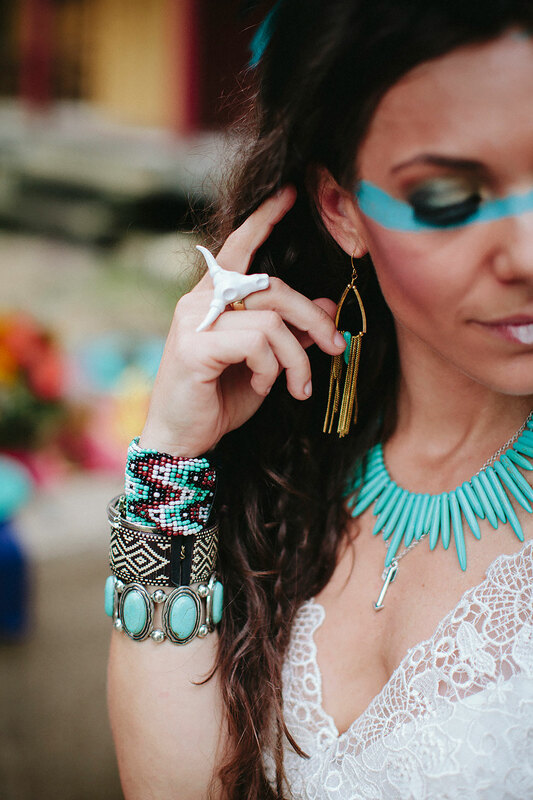 Wonderfully southwestern in feel, heavy in turquoise in all the right places, this gorgeous western town inspiration shoot hits all the right notes when taking something so strong as the Lone Ranger as a theme. 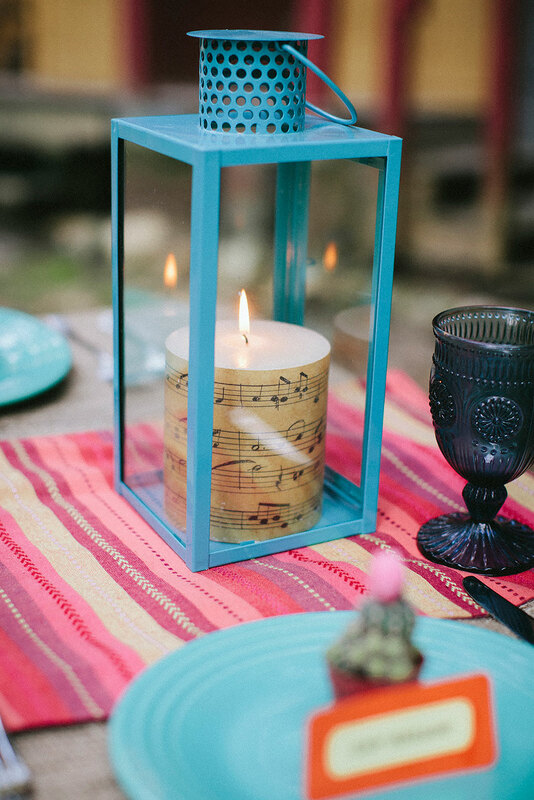 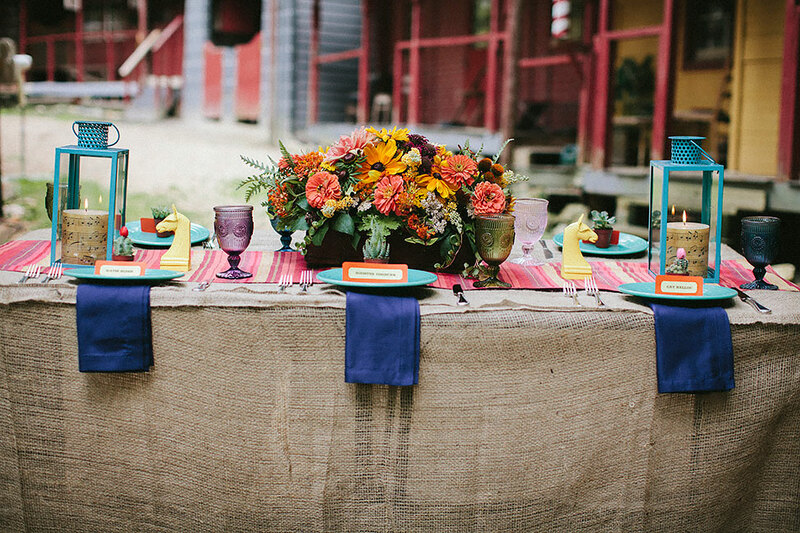 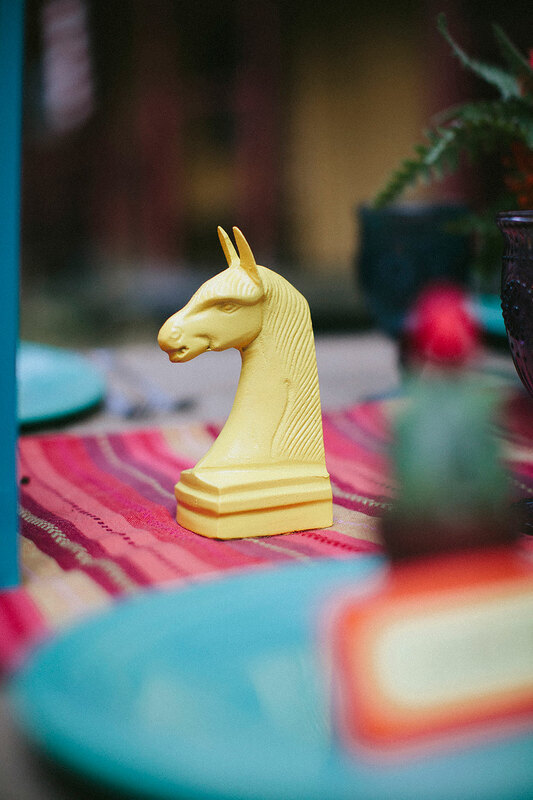 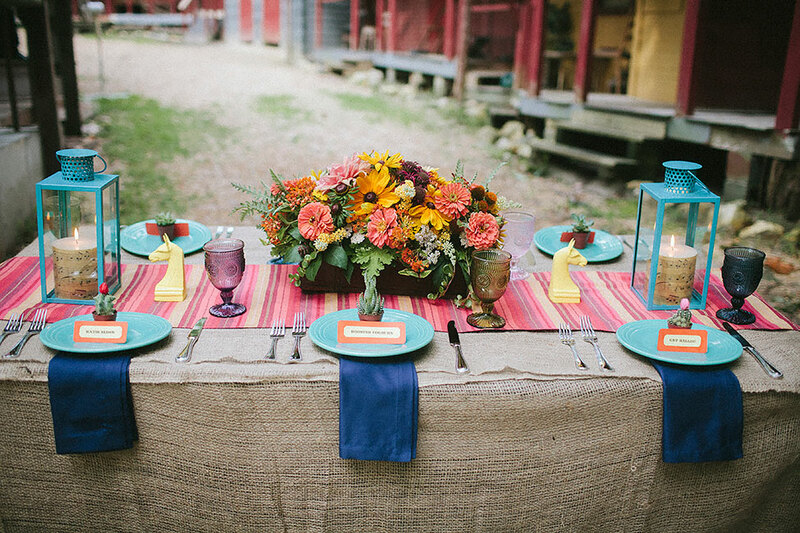 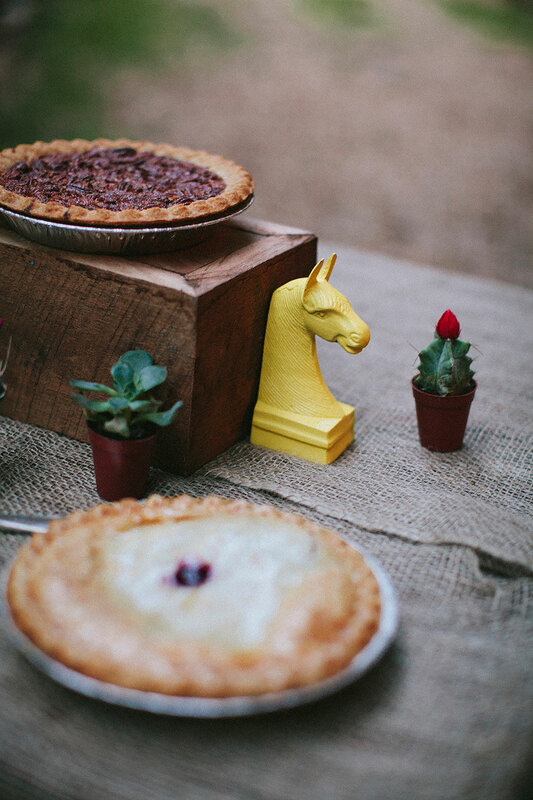 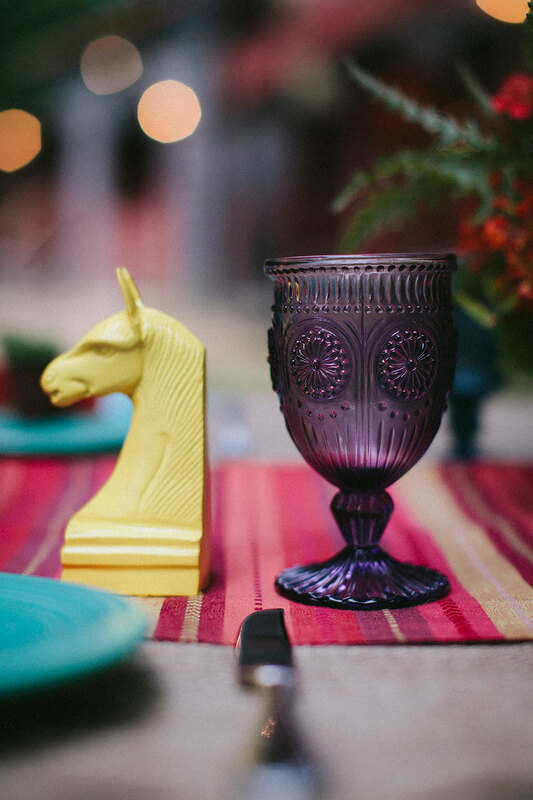 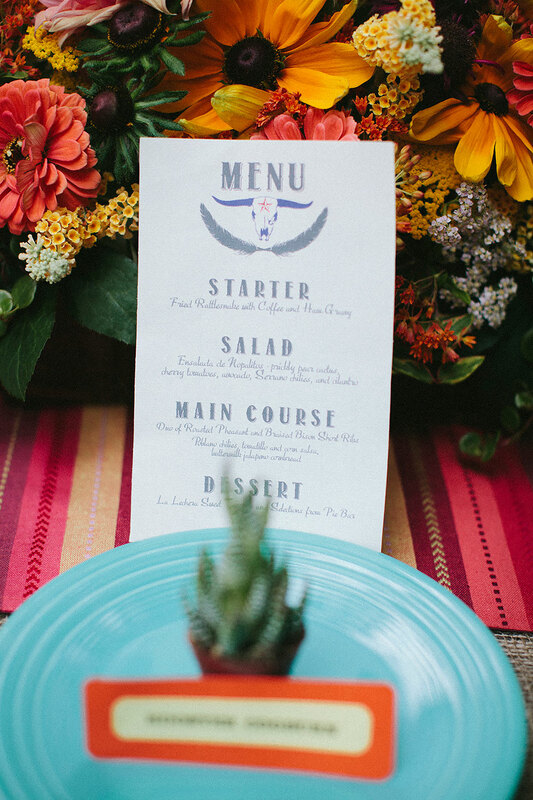 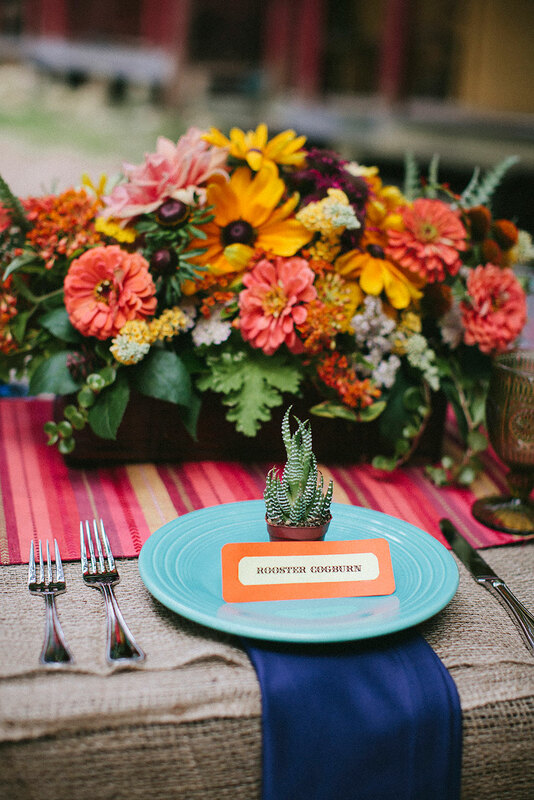 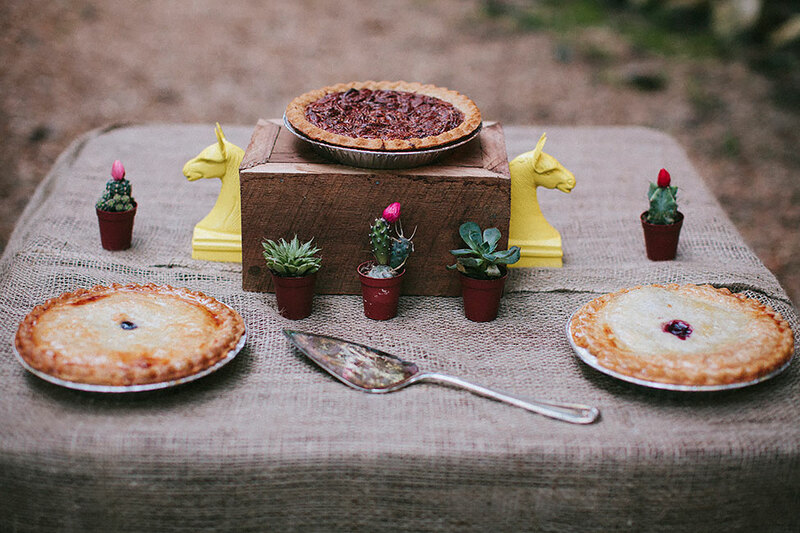 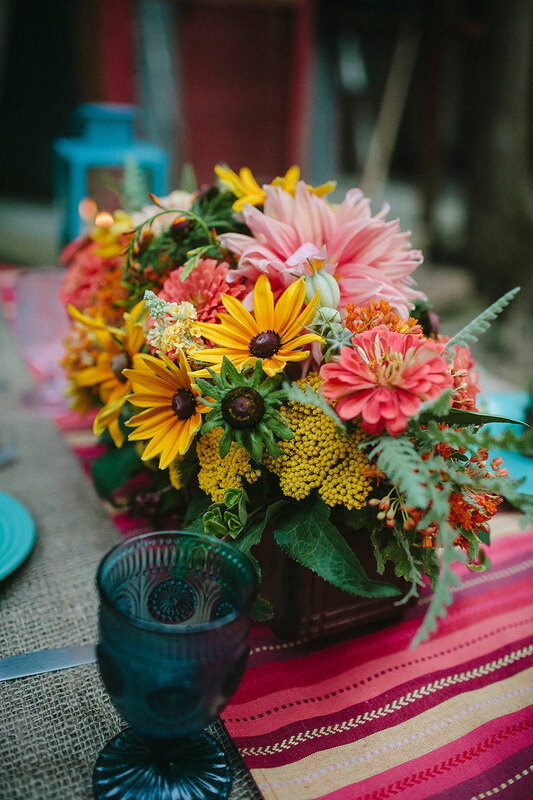 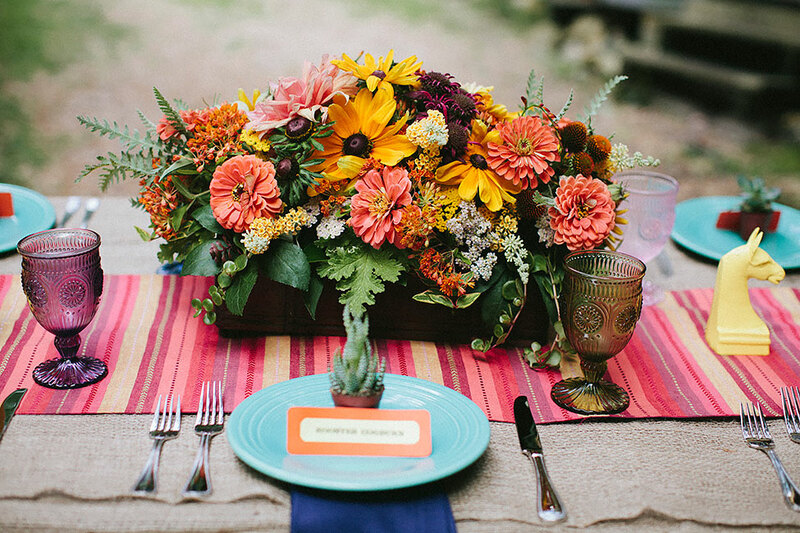 If you don’t yet know Lauren Pack Cox of Swanky Elephant Planning and Design, get to know her as she whips the frontier world into quite an amazing & vibrant display in both tablescape as well as styling of our southerwestern influenced couple! 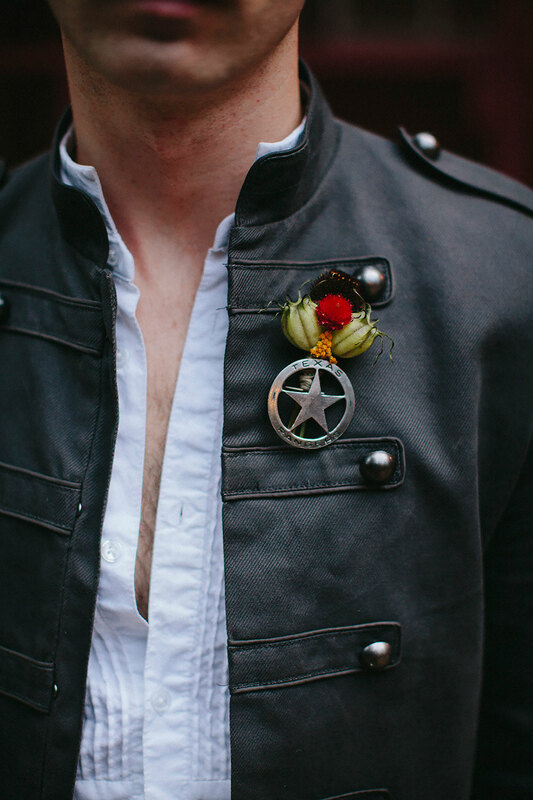 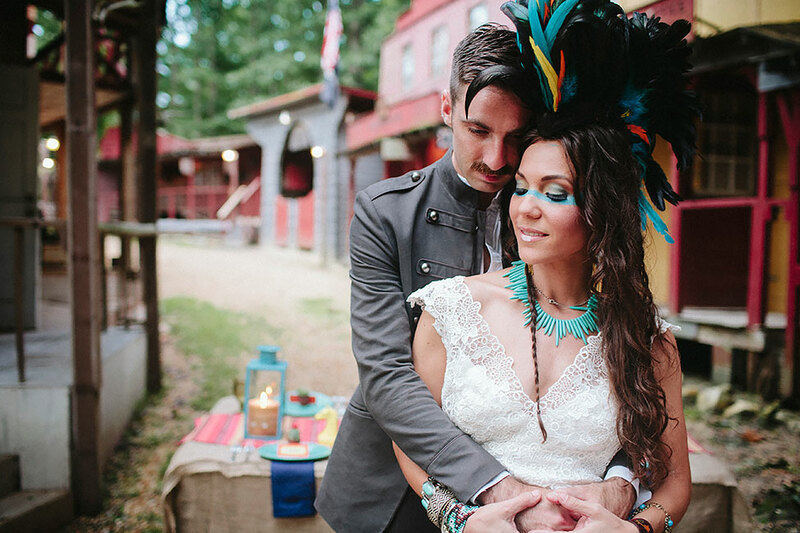 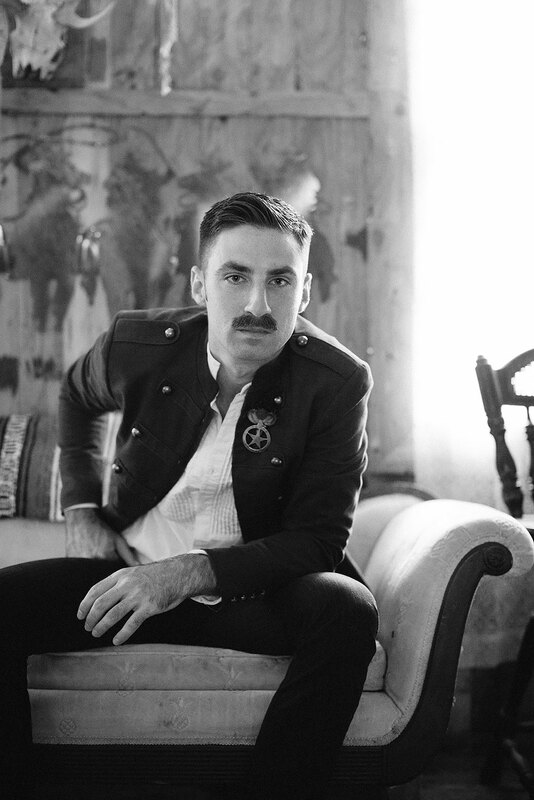 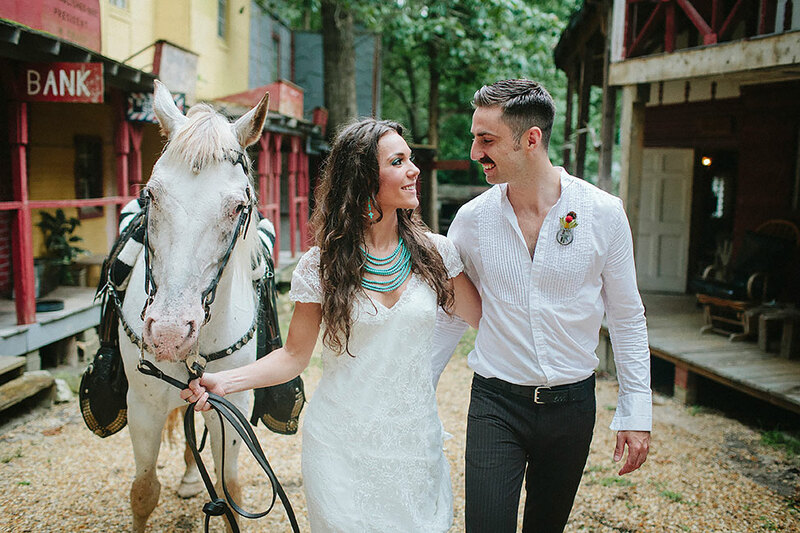 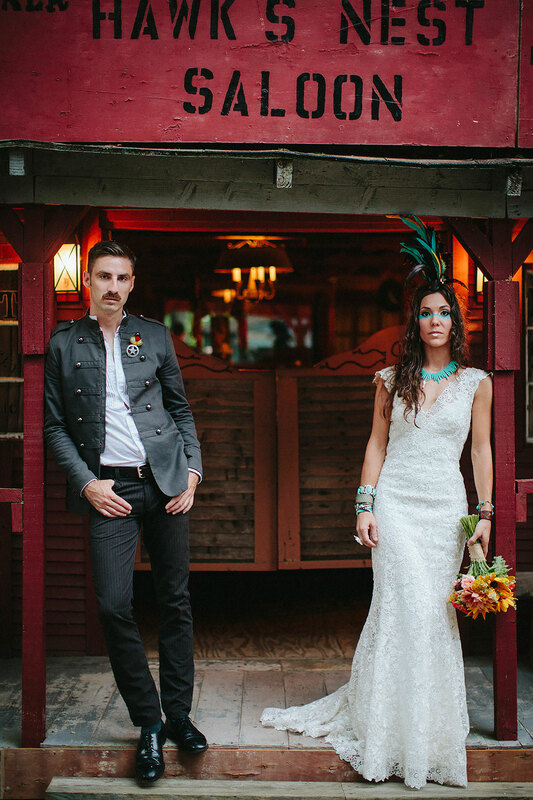 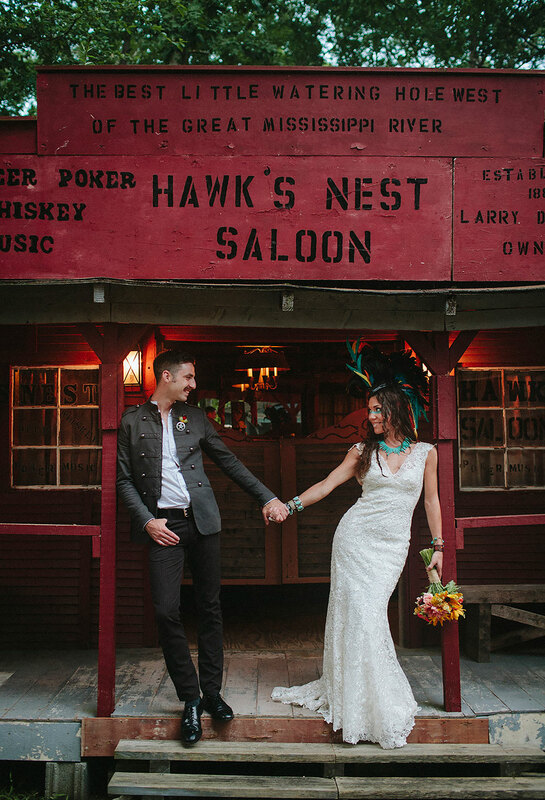 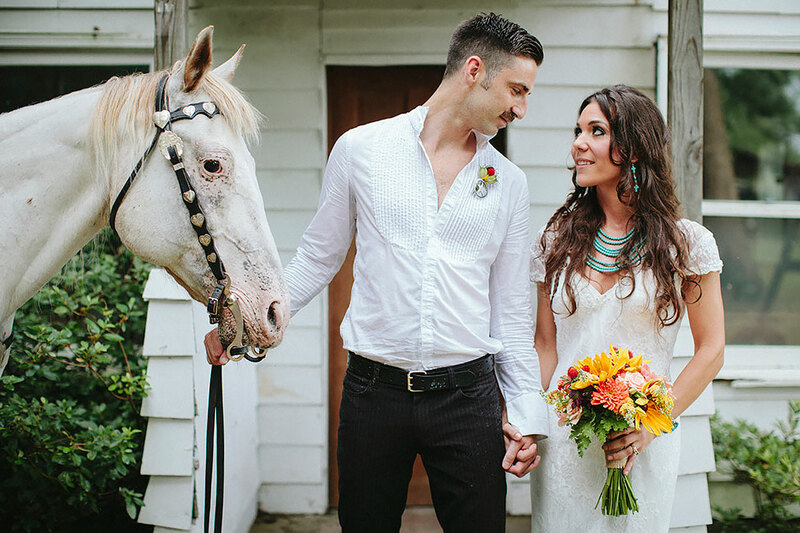 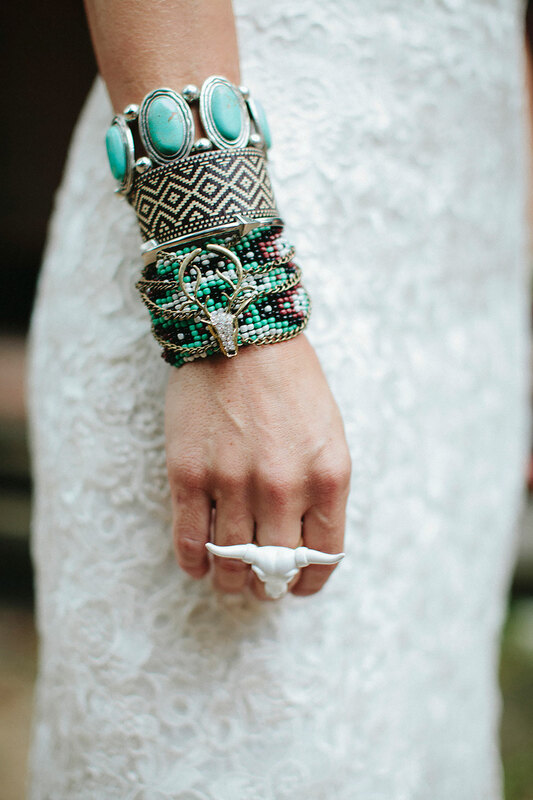 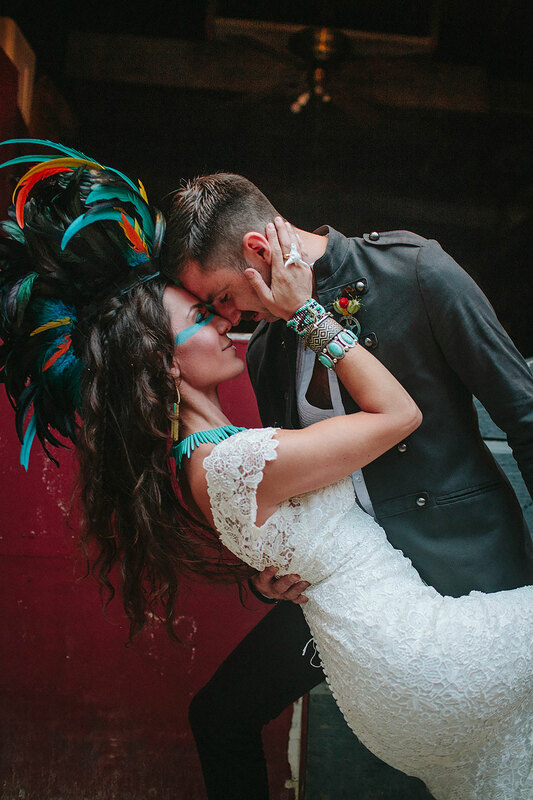 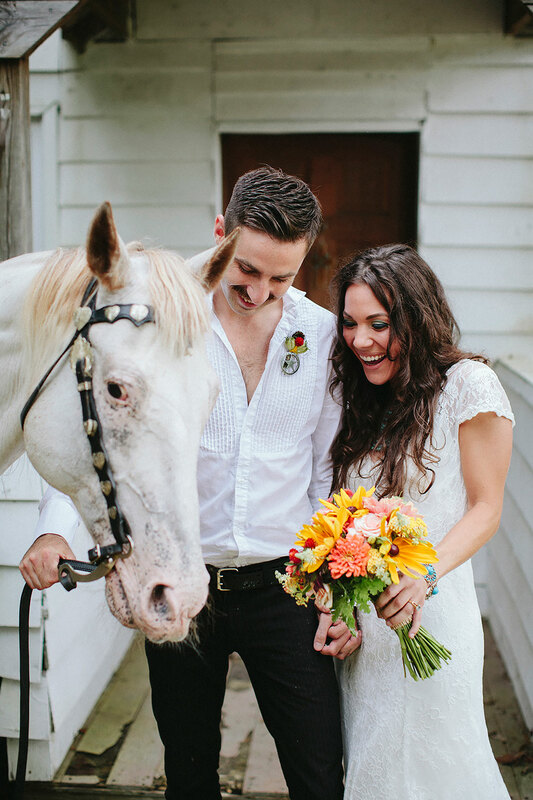 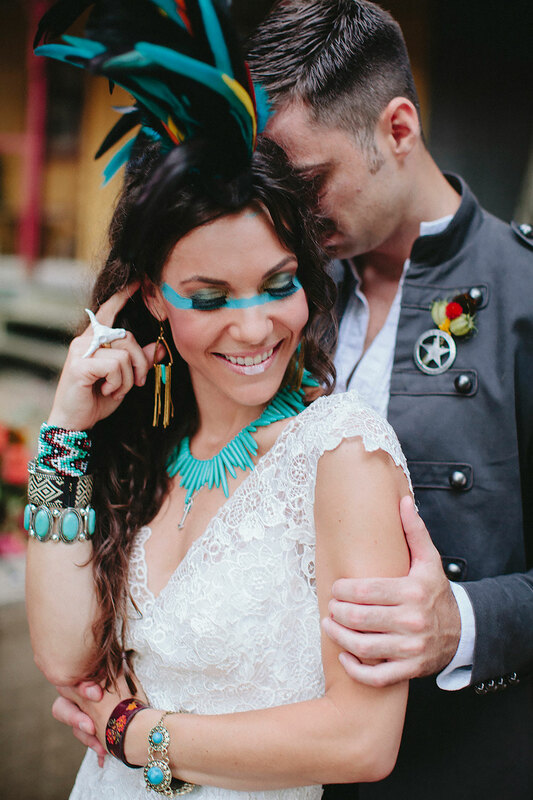 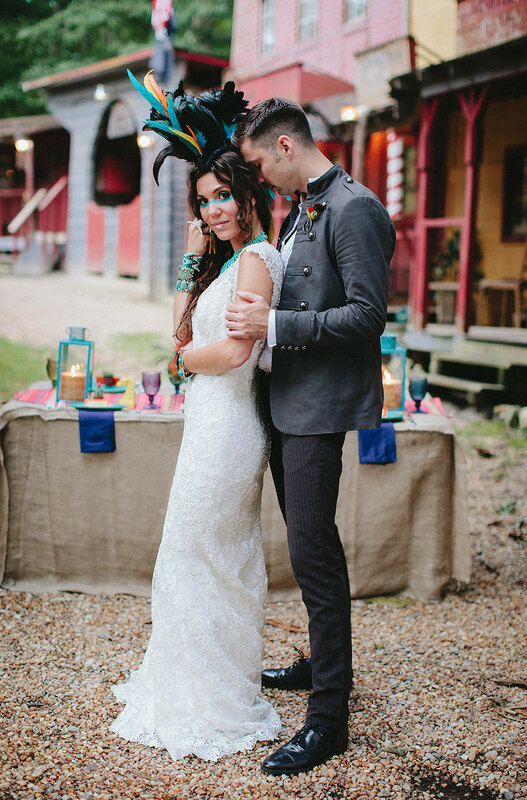 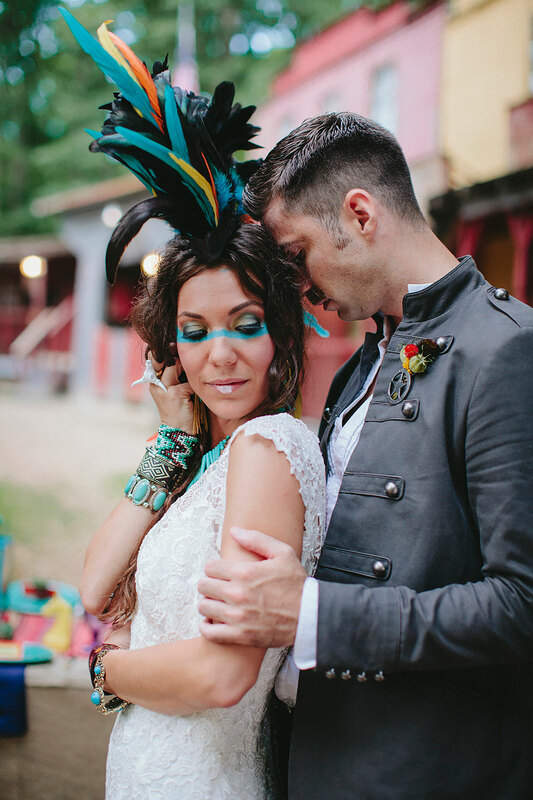 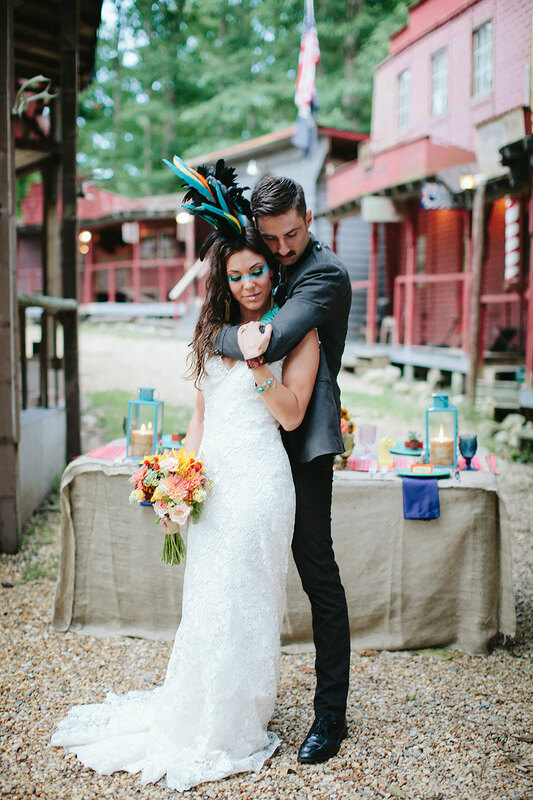 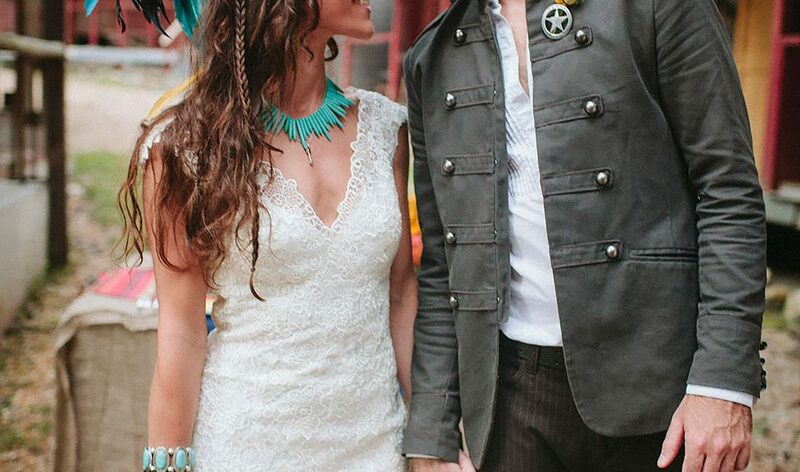 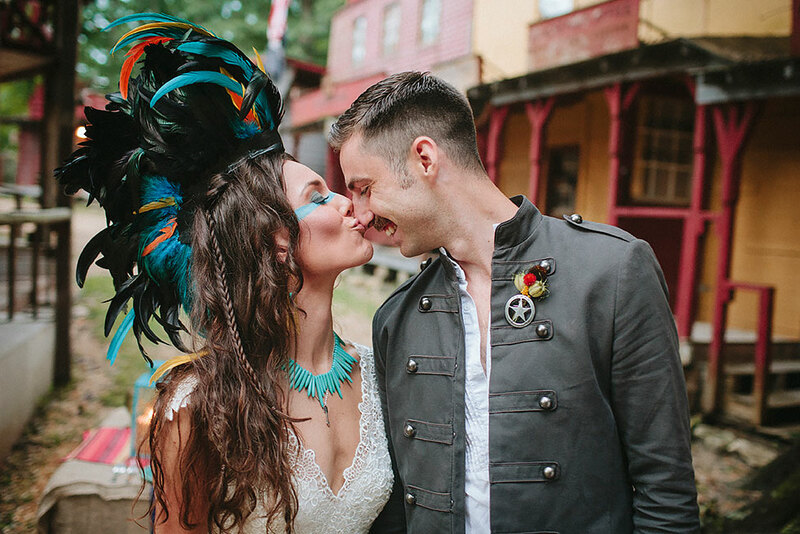 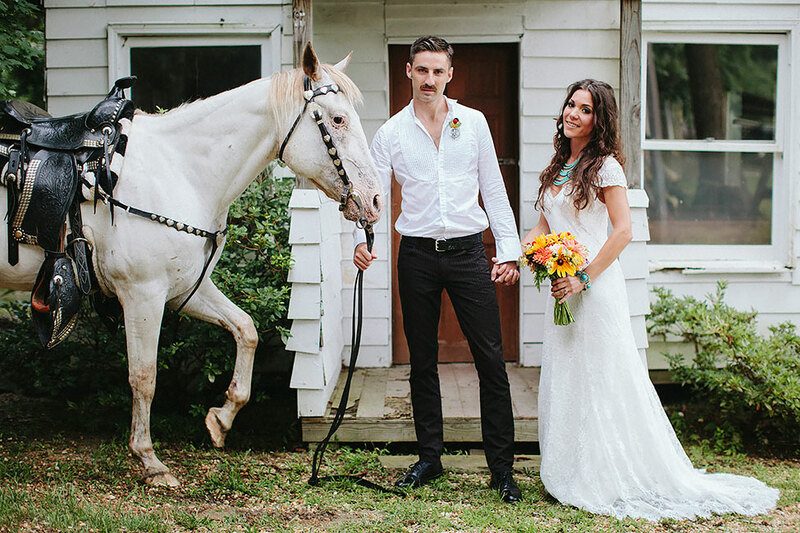 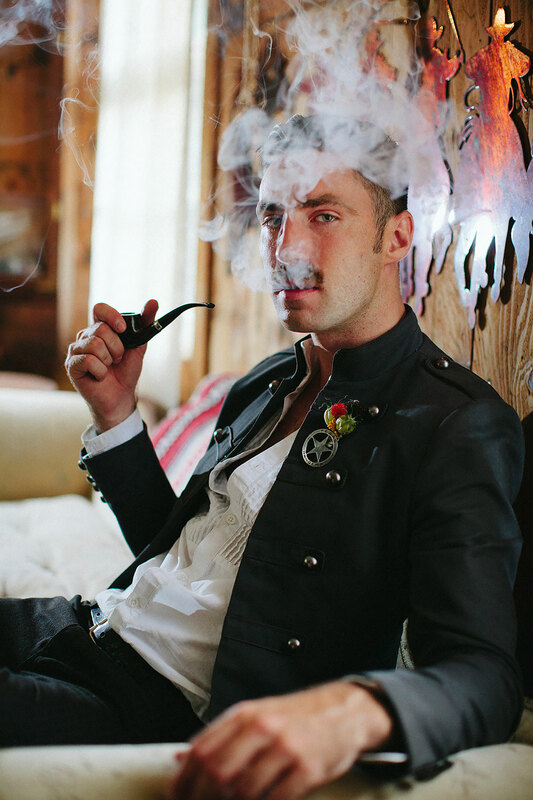 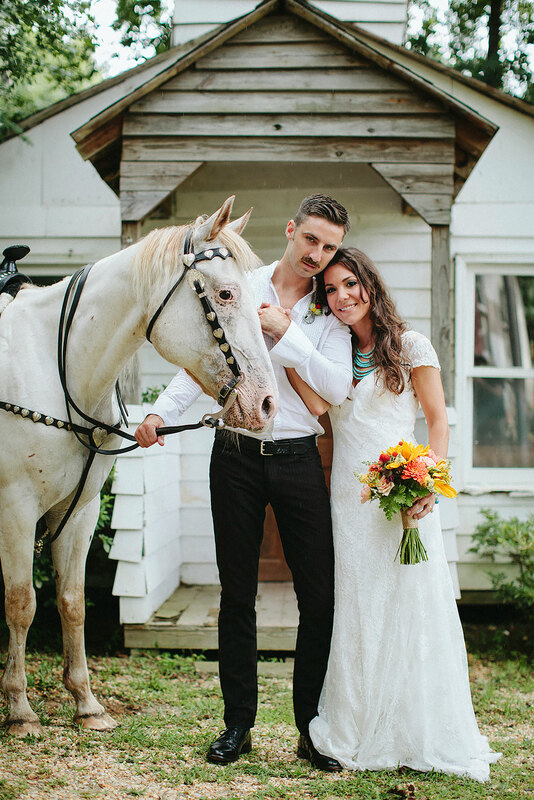 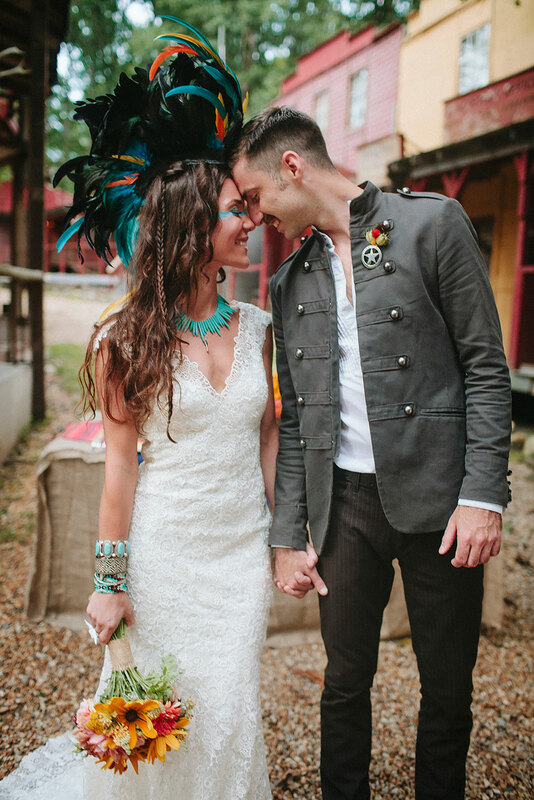 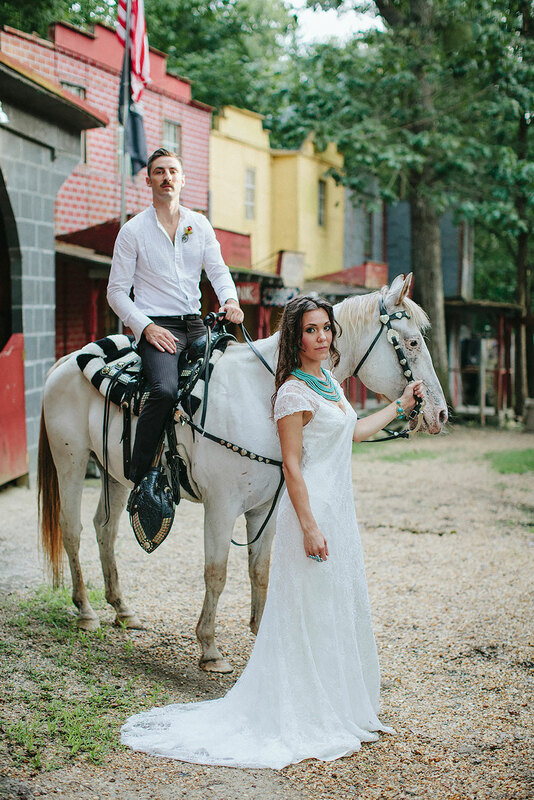 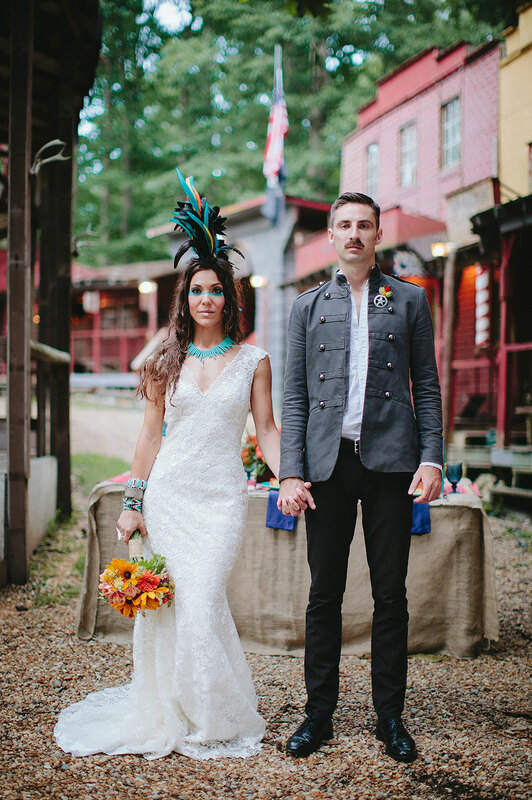 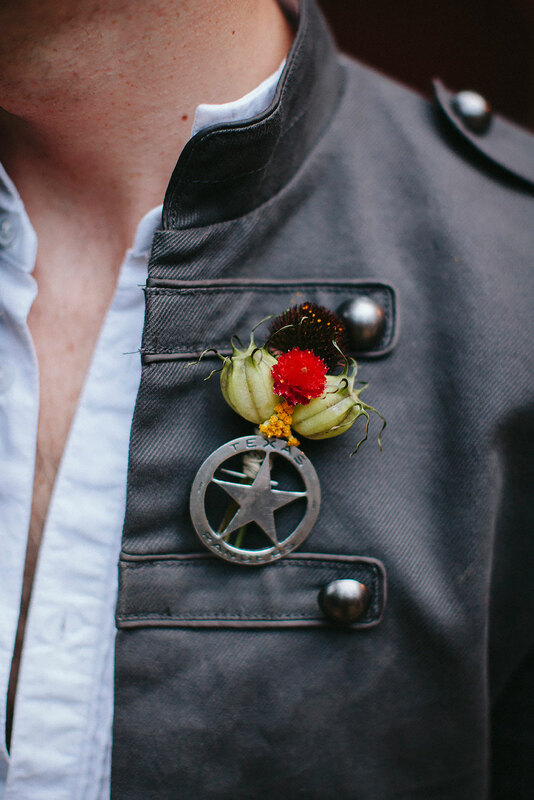 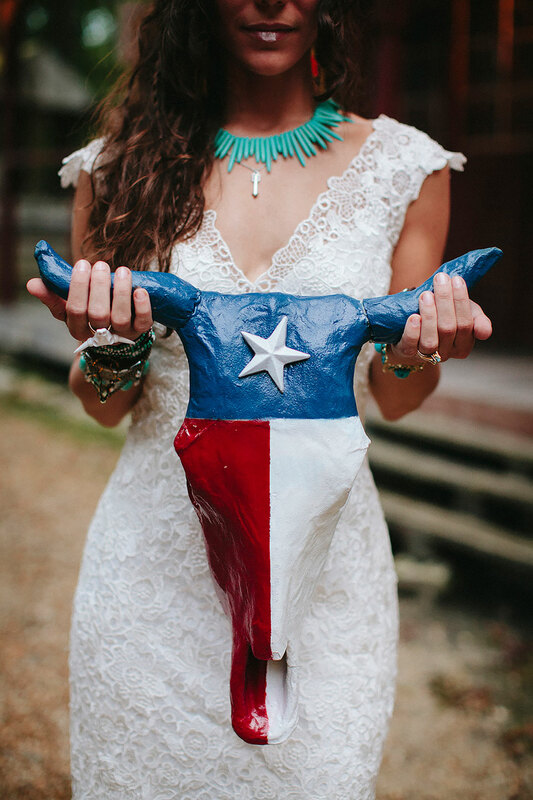 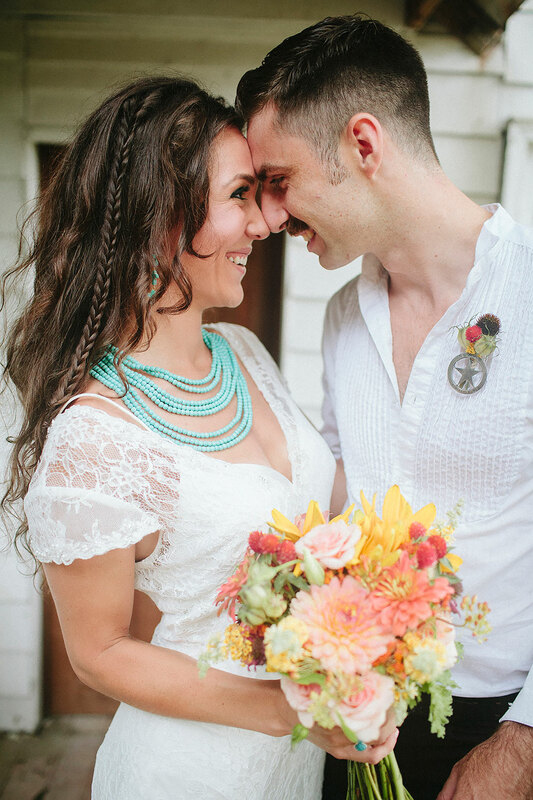 Lauren’s big love of fashion comes out in spades playing with everything from a playful feather mohawk, bull horn clad steer ring along with some pretty choice turquoise pieces to a wonderfully cool vintage solider uniform for our groom! 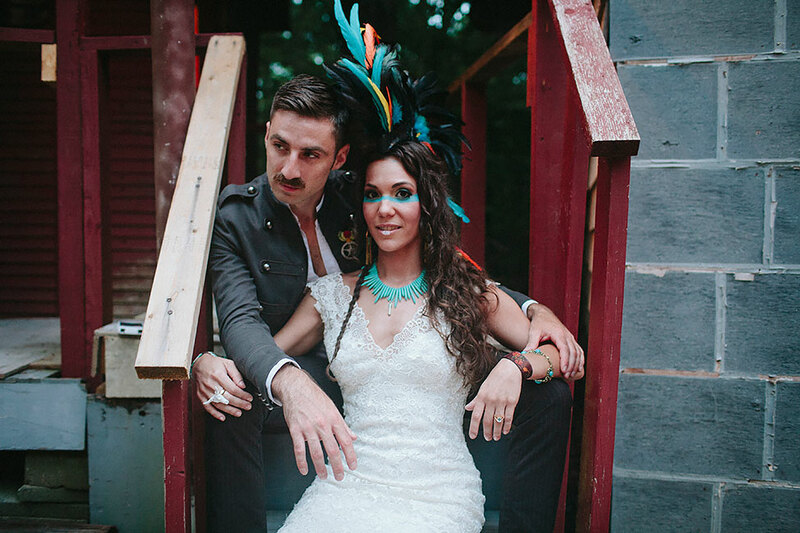 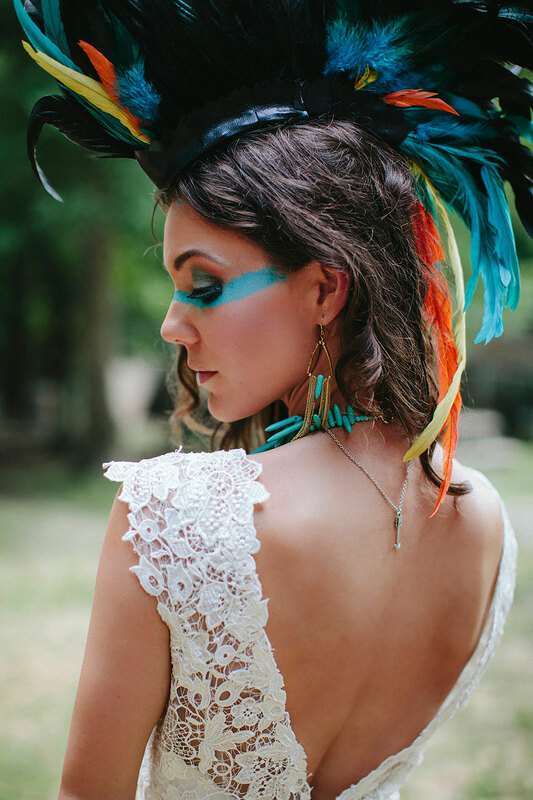 On top of the inspired fashion, the gals at Posh Salon created some unique looks for our bride, working with loose textured locks & braids as well as one seriously powerful makeup look of striped turquoise & minimized pout to accompany the feather mohawk! 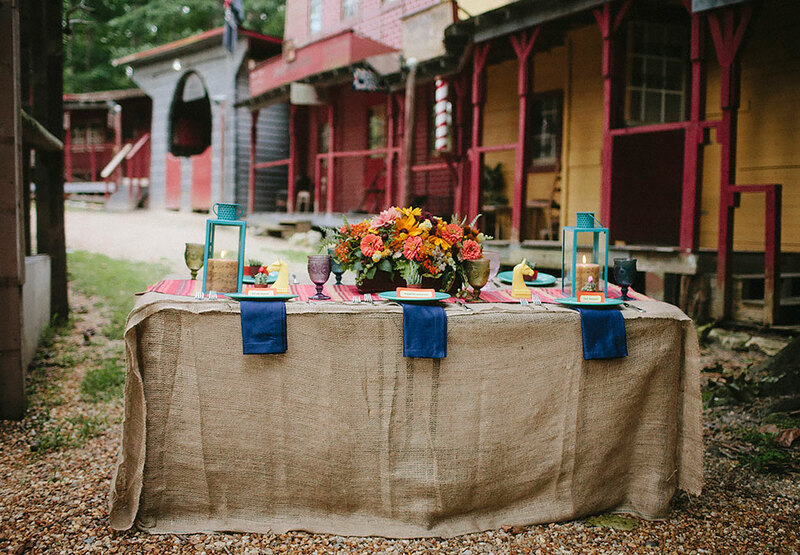 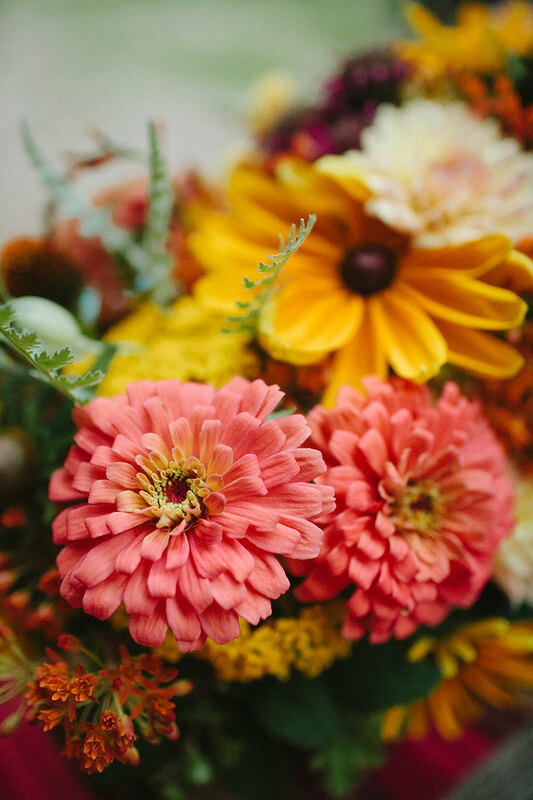 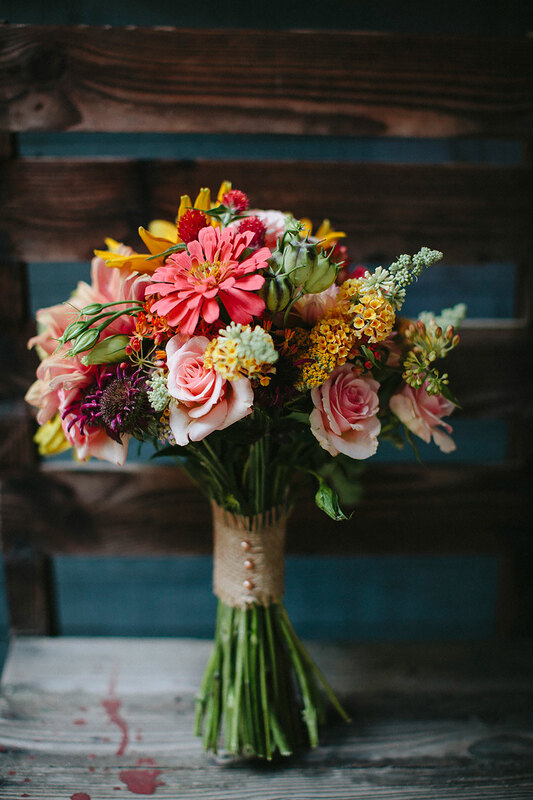 To bring together the fashion as well as the tablescape of this Lone Ranger feel, the crew at Springwell Gardens crafted vibrant arrangements in shades of rustic pinks & mustardy yellows. 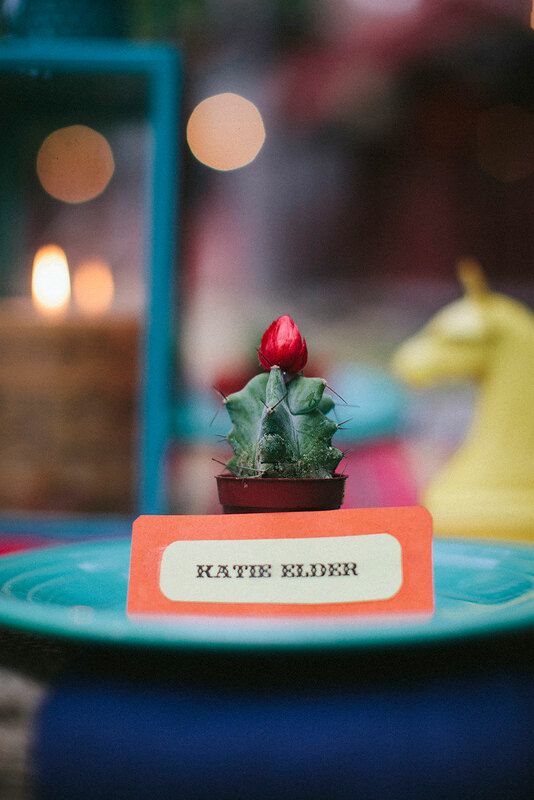 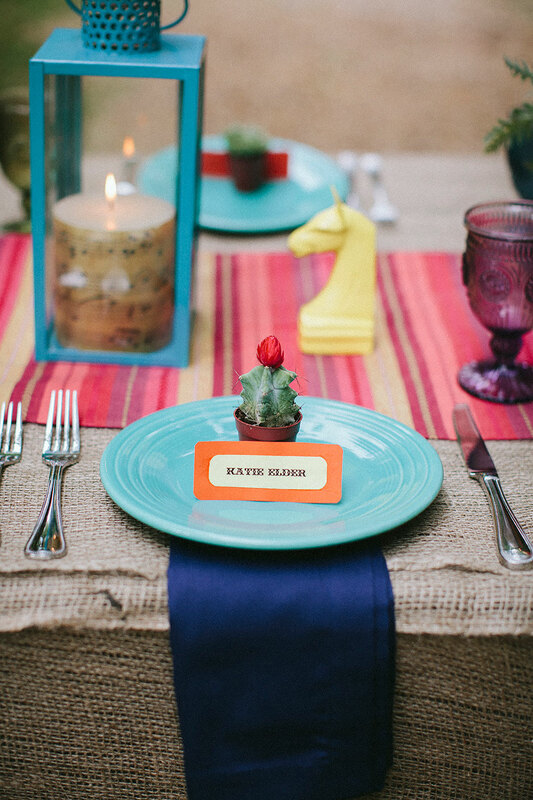 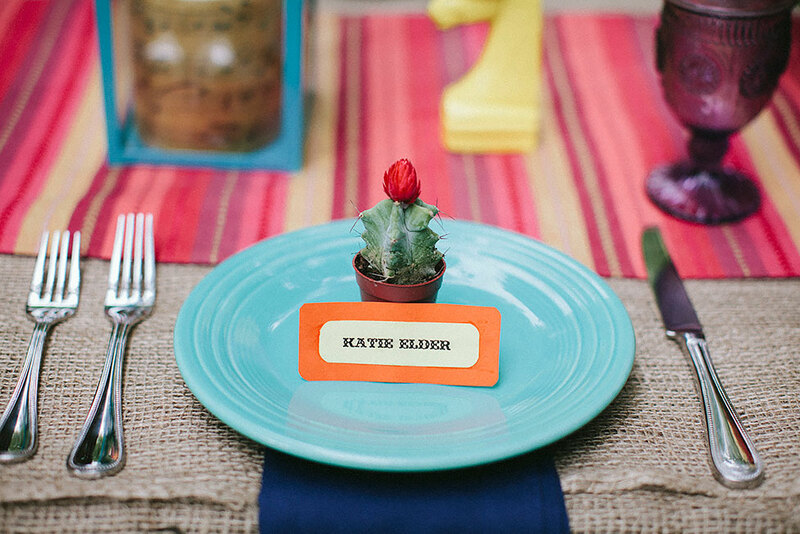 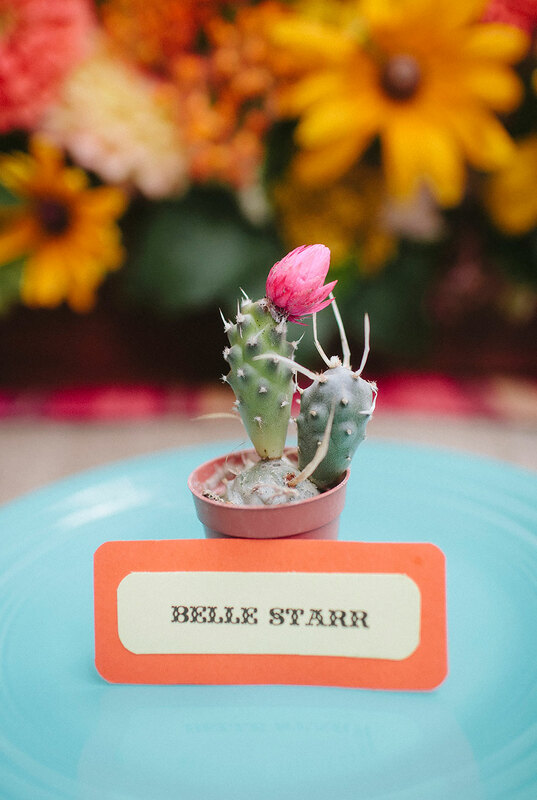 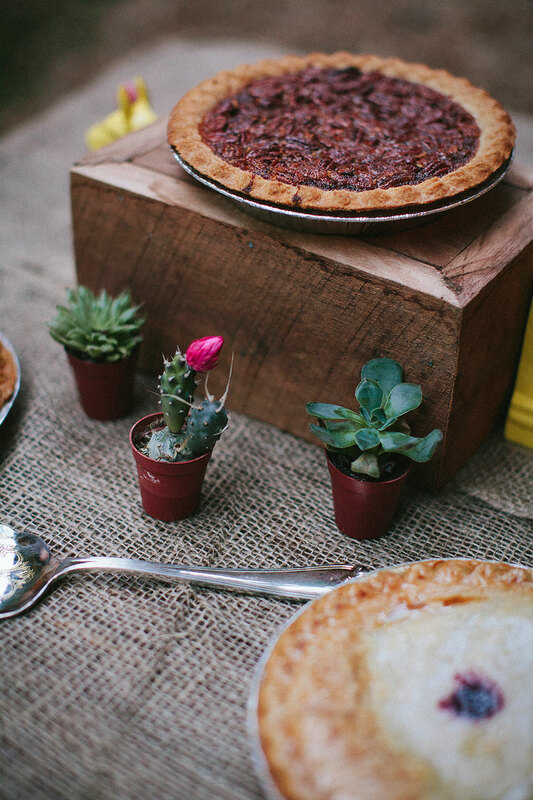 Place settings were finished off with an accouterment of a petite cactus, while cactus blooms were used to embellish our groom’s sheriff star boutonniere! 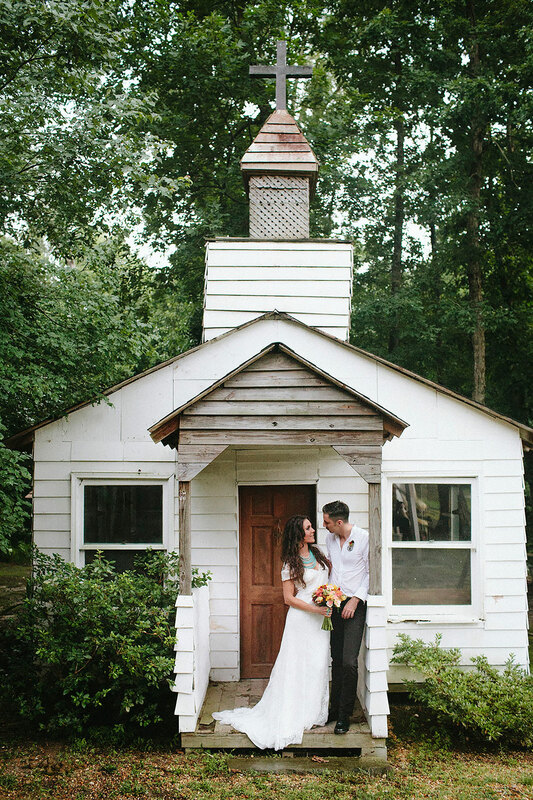 Each moment is beautifully captured by Cole Gorman of North Carolina based wedding photographer Blest Photography, reminding us yet again why we are such big fans! 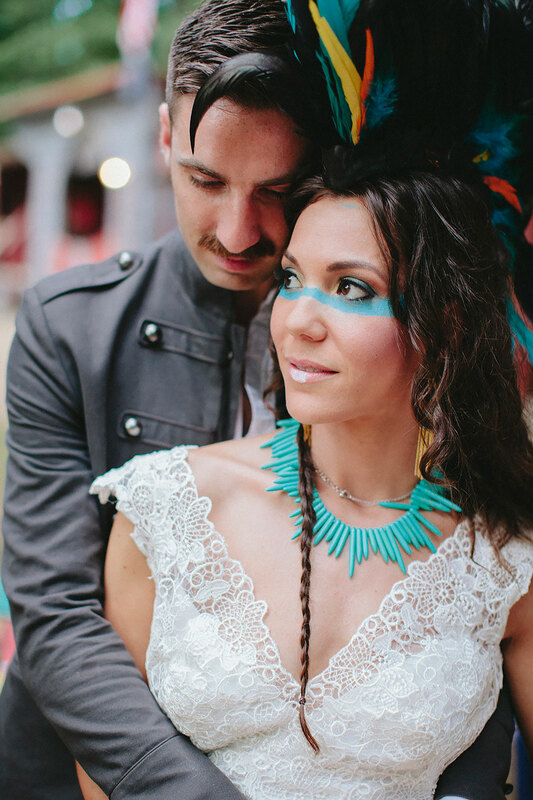 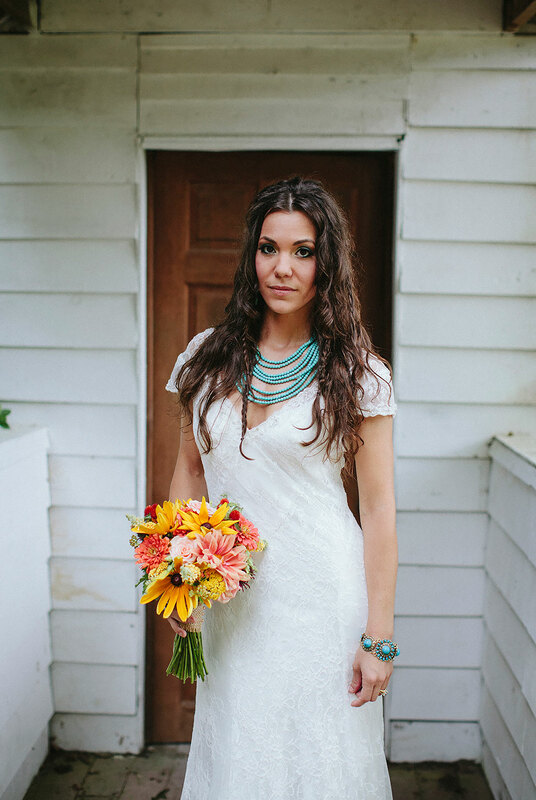 This Lone Ranger inspiration session is a gorgeous example of how gorgeously southwestern influences can work their way into weddings, bright vibrant and full of life!